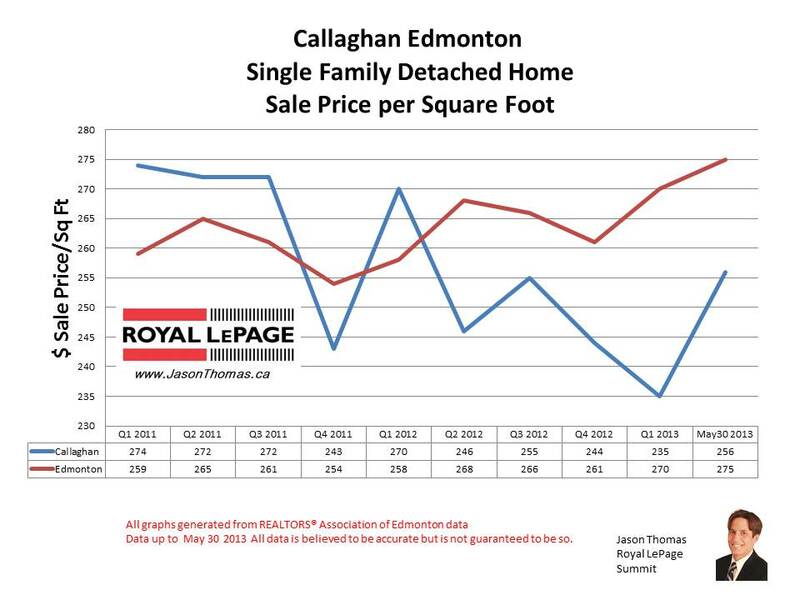 The Callaghan Edmonton home sale price per square foot has moved higher in April and May of 2013. Callaghan had a weaker finish to 2012 and has now recovered. In previous years, Callaghan was selling over the Edmonton average sold price per square foot. The area remains very popular, and I expect the sold price per square foot to continue to move higher. The highest selling price for a home in Callaghan in 2013 has been $865,000. The average days on market in Callaghan in 2013 is higher than the Edmonton average time to sell and is now sitting at 70 days.